The Unlimited Spanish Lessons have been designed using a very powerful and successful system. This system have been partially or totally used by other programs for learning languages with great results. In fact, tens of thousands of students have learned a foreign language with these methods. In case you want to learn a new language, I fully recommend these sites, which have proven courses and materials for learning a foreign language. Do you want to learn English using the same Unlimited Spanish techniques? Then you can’t miss out this website! In collaboration with Georgiana from SpeakEnglishPod.com and ProfesoraIngles.com, several Unlimited Spanish courses have been translated, adapted and recorded under supervision. Also, you’ll be able to listen to an outstanding podcast. I am personally very proud of the students’ results! My friend Dima from Russia got very excited with my methods and techniques, and learned Spanish with my courses. Now he collaborates with me and is the founder of www.language-efficiency.com. There you can find my courses and podcast with the Spanish transcription translated into Russian. If Russian is your mother tongue you may want to take a look. This is an excellent course from my good friend AJ Hoge. It uses the same methodology as Unlimited Spanish. Therefore you’ll find mini-stories, points of view lessons, interesting content and very good recording quality. 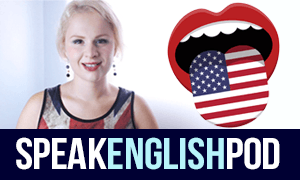 It is American English and I highly recommend it! German is on my list of languages to learn! As my course, these lessons are based on TPRS (Teaching Proficiency through Reading and Storytelling”). 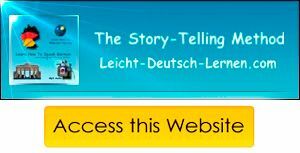 This is very important because it will help you to learn the complicated German grammar and word order almost automatically. This is the course that I am going to use when I learn German! In his website, Alberto invites all people who have a basic level of Italian to definitely go one step forward and reach a more consolidated level of this beautiful language. Alberto speaks several languages and he is very passionated about what he does! Polish! Some people say it is a difficult language, others say not. In any case, if you are interested in this beautiful language, this is the website to go. Piotr, the founder of realpolish.pl has made a brilliant job. You will find a podcast, courses, and more! In his website, Johan has been constantly adding great material for learning French. Besides, he created two courses specifically designed for learning French effortlessly and automatically. His website has become very popular and it is a must if you truly want to learn French. Ah! Japanese, that exotic language! Although I am not planning to learn it in the short term, I would go for these lessons if I wanted to learn basic Japanese. The lessons start very gradually and the grammar is learned through the content.